The first step in accessing language training is to complete a formal language assessment. Operated by the Centre for Education & Training, the Language Assessment Centres - CLARS Peel-Halton-Dufferin administer language proficiency assessments and provide referral options. View the list of Language Assessment Centre in Peel-Halton-Dufferin (inlcuding addreses, contact information and maps). Following assessments, individuals are provided with a range of language training options and classes available in their community, from which they can choose based on their needs and interests. 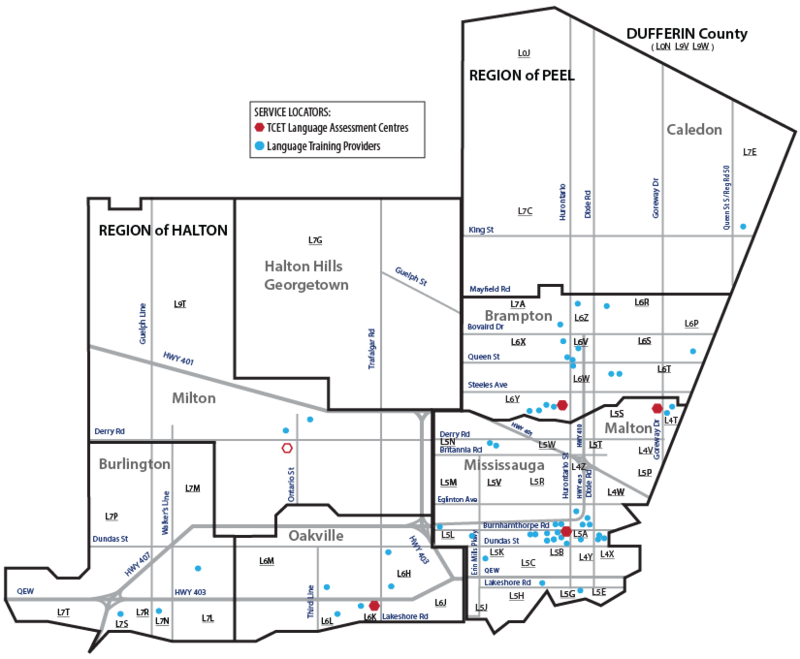 View the list of Language Training Providers in Peel-Halton-Dufferin (including addreses, contact information, web addresses, program flyers and maps).